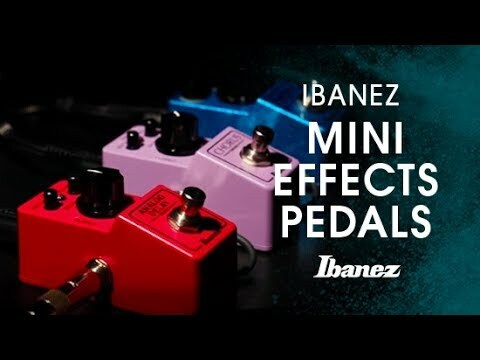 The mini-pedal market has been booming the past few years, so Ibanez felt the time was right to offer some of their most legendary pedals in new mini housing! Ibanez is proud to announce the new MINI pedal Family, including the Super Metal. Made in Japan, the SMMINI still preserves the five-knob control layout as its bigger brother; the SM9. These five knobs can create almost unlimited tonal possibilities. The knob configuration features 2 stacked knobs (Edge/Punch and Attack/Level) and a significantly larger Drive knob. A true bypass switch provides the shortest, most direct signal path as well as the cleanest tone.